A goal from second half substitute Lautaro Martinez was just about enough to help Inter to a narrow 1-0 win over Parma at Ennio Tardini. After an even start to the game it was Parma who had the first golden opportunity of the game, after Gervinho cut inside from the left hand side and unleashed a stinging shot which cannoned off the crossbar, a let off for the Inter defence who looked to have fallen asleep. The visitors had good spells of possession throughout the first half but struggled heavily in the final third, with ​Mauro Icardi often finding himself isolated up front with very little support around him. ​Inter made a bright start to the second half and thought they'd gone ahead after Danilo D'Ambrosia headed into the back of the net. However, further review from VAR showed the ball actually came off his arm and the goal was ruled out. It looked as though the game was heading towards a frustrating draw, but Inter finally got their first ​Serie A goal of the calendar year with ten minutes remaining. Radja Nainggolan picked the ball up on the halfway line and drove at the Parma defence, sliding the ball through to substitute Martinez - who had only been on the pitch for two minutes - who tucked the ball past Luigi Sepe to make it 1-0. Starting XI: Sepe (7); Iacoponi (6), Alves (7), Bastoni (7), Gagliolo (6); Kucka (8), Scozzarella (6), Barilla (7); Gervinho (7), Siligardi (6), Inglese (6). Substitutes: Biabiany (6), Stulac (6), Sprocati (N/A). 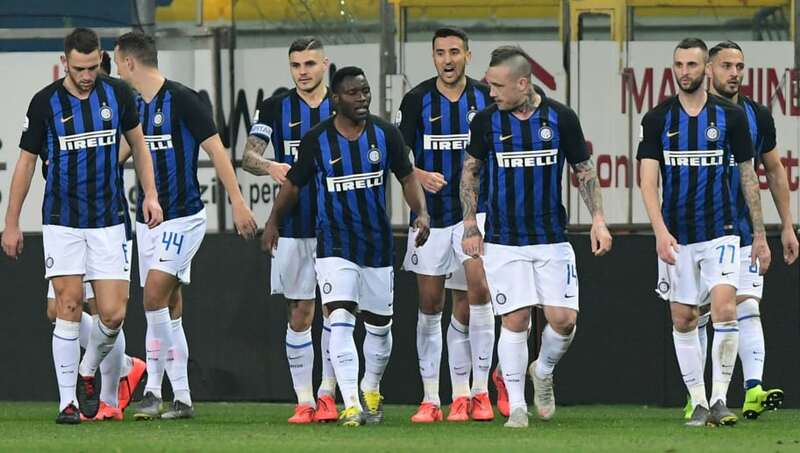 Having not won any of their last three Serie A games - which included back to back defeats - Inter were keen to break their winless run against a spirited Parma side and they did just that, but the score line doesn't tell the entire story. They were good in possession and limited Parma to few chances, but going forward they struggled to create any clear cut opportunities against a side who had conceded six goals in their previous two games. Remarkably, Inter hadn't scored a Serie A goal this calendar year heading into the game and whilst they'll be delighted their drought is over, there are still many questions surrounding the Inter team that need to be answered in the coming weeks. Starting XI: Handanovic (6); D'Ambrosio (6), de Vrij (6), Skriniar (6), Asamoah (7); Vecino (6), Brozovic (6); Mario (7), Nainggolan (6), Perisic (6); Icardi (5). Substitutes: Martinez (8), Gagliardini (N/A), Cedric (N/A). STAR MAN - He only played 13 minutes on the night, but Martinez proved to be the spark Inter needed. His side hadn't scored in their previous three Serie A matches and were in desperate need of a win against Parma, but the Argentine stepped up when it mattered. He scored a really well taken goal and in the end made the difference in what had largely been a frustrating night for Inter. WORST PLAYER - He has now gone seven games without a goal and Saturday night did no favours for the confidence of Icardi. He struggled to capitalise on the good positions he was put in and was wasteful with his chances all game. In fairness to the striker he had very little support up front and often found himself trying to make something out of nothing, but seven games without a goal for any striker is worrying, let alone for statistically one of the most prolific strikers in Europe in recent seasons. Parma will look to bounce back from the defeat when they travel to face Cagliari on Saturday evening.